Awards Night - This Week!!! 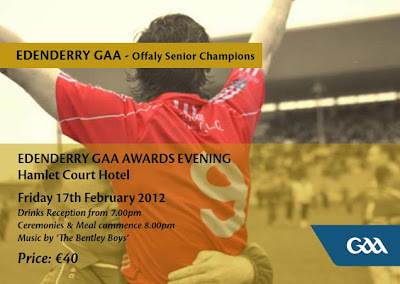 The tickets for the awards night are going on sale this Monday between 7.30pm and 9.00pm in the GAA Pavilion. The tickets are priced at €40 each. For those that have reserved tickets you may use this opportunity to collect and make payment. Please make sure to come and purchase your tickets this Friday night as there is only a limited number available.